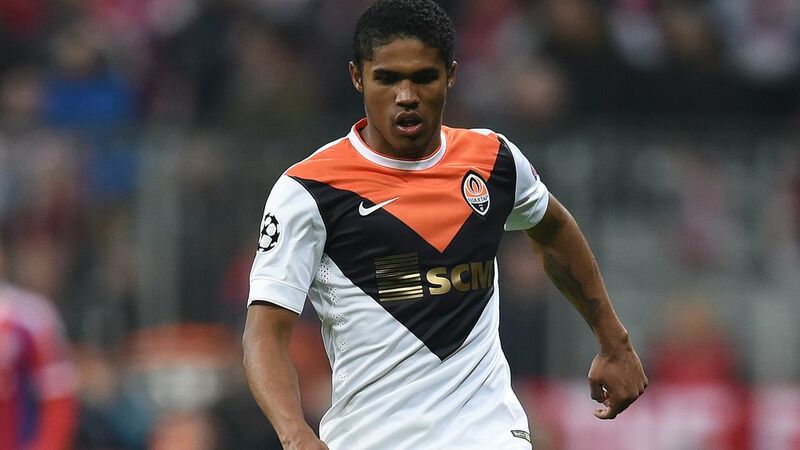 Liverpool are plotting to hijack Chelsea’s move for Brazilian attacker Douglas Costa with the duo set to battle it out over the €27.5m Shakhtar Donetsk ace this summer, according to reports. Costa has been in impressive form for Shakhtar since joining the club from Gremio in 2010 and it’s led to speculation linking him with a move to the Premier League. Chelsea reportedly came close to signing the 24-year-old during the winter transfer window and speculation last week suggested that the Blues had renewed their interest and were ready to table a formal €27.5m (£20m) bid for his services. However, it looks like Chelsea will now face some stiff competition as the Express are reporting that Liverpool have now entered the race and will try and hijack Chelsea’s potential deal. The Reds acknowledge that they won’t be able to compete with the West Londoners on the financial front but hope that the promise of guaranteed first team football will persuade Costa to opt for a move to Anfield. Brendan Rodgers has seen his sides season derailed by defeats to Manchester United and Arsenal in recent weeks and the Merseysiders look destined to miss out on a top four finish, so they’re expected invest this summer to build a squad capable of breaking into the top four again next season. “There comes a time when you become sick and tired of playing in the same league. I’m 24 and I think that it’s worth trying to convince them to let me go away. “It’s time to try a new philosophy and I’m sure Mourinho’s is the best around. He’s always fighting for trophies. “I’ve also got Willian in London – he’s a friend for life. I spent a few days at Fernandinho’s house after Shakhtar played Manchester United in the Champions League [in December 2013] and I really enjoyed it. “[If I moved to England] I’d have the chance to play in the Premier League, the best league in the world. So despite Liverpool’s reported interest, Chelsea remain firmly in the driving seat to secure Costa’s signature at the end of the season. We’ll have to wait and see whether Chelsea will be able to get a deal agreed with Shakhtar but if they can, I don’t think they’ll have too many problems getting Costa to sign on the dotted line based on the comments above. While he’s only made 2 appearances for the Brazilian senior national team, gaining a work permit won’t be a problem as the midfielder has dual Brazilian/Portuguese nationality, so that’s one thing the Premier League leaders won’t have to worry about. Mourinho, I do know that u know wat to do when it comes to the recruit of players to fit your team. get Douglas costa also. to make our attacking line strong.